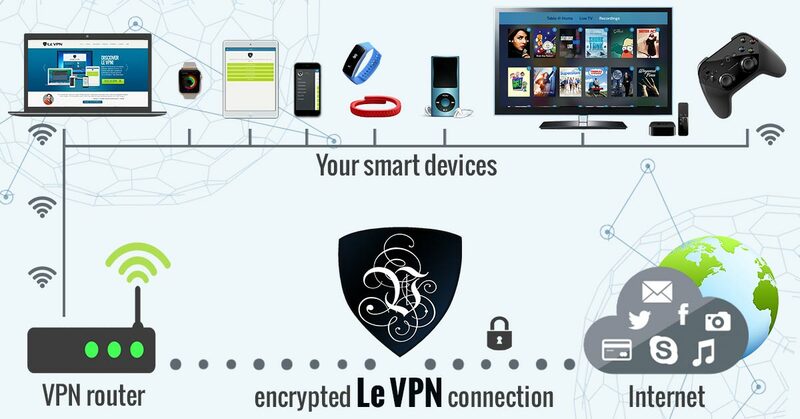 Online security: Ensure security with Le VPN’s great offers. How To Stay Safe From Hackers? For those of you who don’t know, October is the National Cybersecurity Awareness Month. This is in order to spread awareness about online security and all you can do to ensure that you and your loved ones stay safe online. In light of this month, Le VPN is running a special promotional month as well, which you can avail this month. As far as online security is in question, one of the major threats that you face is that of hacking. The truth is, hackers are everywhere. Hacking is probably one of the most serious kind of cyber-crime that one can commit. Even if you suspect that your site or your social media profiles have been hacked, there are some things you can do. Since prevention is better than cure when it’s online security in question. How Can You Tackle Hackers? If you feel that your online security is at risk, you will need to check your privacy settings immediately. Is your firewall up? Are all security measures in place? This is all the more important if you’re using a corporate network. In case of a corporate setup, you may risk valuable sensitive information. If this data gets into the wrong hands, it may cost you millions. Even if it is a personal computer, there could be private information in danger. There is a web content managing system which controls what sites you use and all that you view on the internet. If you feel that your online security is under threat, then you must increase the level of security of the management system as soon as you can. If hackers get an access into your system, this will reduce the amount of damage they can do. You will need to assess the damage. If you are using VPN or VPN routers, then you will need to check the damage on all connected devices. A VPN router is one that allows multiple devices to connect to the same network. It works like a wifi system, where all devices operate through the same network. So if one of the systems is under attack, chances are, other devices may too face an attack. You need to check the damage done and assess it. Also, the next and final step is to take adequate measures so that there is no recurrence of the attack. If your system was hacked, it means your security measures aren’t enough. You need to go for something that is stronger and more immune to attack. These are a few things you should do in case you feel that your safety online has been threatened by cyber criminals. This month you have an opportunity to ensure that you are safe online. Le VPN, one of the reliable VPN service provider, is offering a special package on account of National Cybersecurity Awareness Month. Le VPN is having a special promotional offer, which is 2 years of Le VPN service for 69 USD, or from 2.87$/month. This offer is valid from 1-31 October 2017.